This is such a fabulous addition to The District Docklands. Hooray! The whole fit-out is just perfect. Lots of room for prams and fams, plenty of tables and spots to kick back and enjoy some good food and fab drinks. 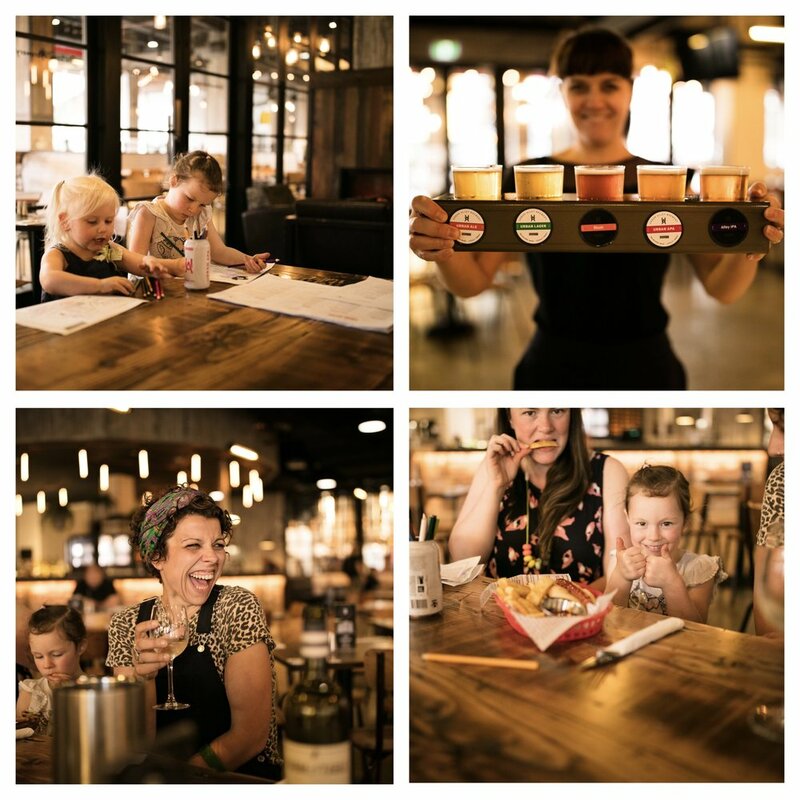 Urban Alley Brewery is an excellent option to feed hungry tummies whilst on a day of shopping and adventure here at The District Docklands. With a crowd pleasing menu including tacos, burgers, fish and chips, hot dogs and steaks - you’ll immediately feel at ease and then THAT bar! The service is great. The staff friendly staff are on the look out for kids and they immediately catered to their ‘colouring in’ needs which is always a relief and a bonus when dining out with littlies. Mamma’s special mentions: Urban Alley Brewery pub is exactly that! They have a mini brewery onsite so make sure you give all their wares a try in a taster beer tray.